Why Lightning Network takes bitcoin to the next level ? To better understand the lightning network, a technology that promises to revolutionize bitcoin, We answers the 7 big questions that arise. In particular, this technology must make it possible to make instant payments and reduce transaction fees. What is the lightning network for? What does a payment on the lightning network look like? 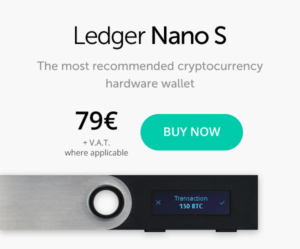 Is it as secure as the bitcoin blockchain? Who works on the lightning network? When will it be effective? Is the lightning network transferable to Ethereum? The lightning network is a 2013 project that adds an overlay over the bitcoin blockchain. 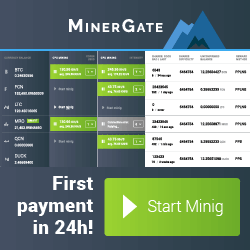 This network allows in particular to make instant payments in bitcoin against about 10 minutes without the overlay (with the mining process). The lightning network also reduces commissions on bitcoin. Today, charges on bitcoin transactions are calculated based on the transaction weight (byte) and not on the amount transferred. So you pay the same commission if you send 1 million euros or 10 euros. And the fees are volatile. On February 15, 2018, you only had to pay three dollars for a transaction but on December 21 you had to pay $ 55. 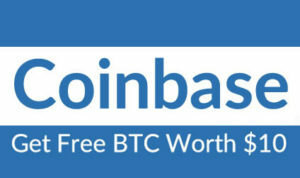 In both cases, it is not relevant to make micro-payments with such high fees. Paying a coffee at 2 euros would be like paying 5 euros on February 15th, for example. The overlay lightning allows to have transaction fees based on the amount and not on the size in byte. The lightning network has a basic brick that is the payment channel. This one works like a safe. To open it, just place a sum, so to make a transaction on the bitcoin blockchain. The goal is that nobody can use the bitcoins present in this safe without the agreement of the two people concerned. Above all, all transactions made on the lightning network are not recorded on the blockchain. This is called the off-chain system. This makes it possible to pay instantly since there is no need to wait for minors (those who secure and validate transactions) to validate the transaction. As its name suggests, the lightning network works in a network. One payment channel can be connected to another, which can be connected to another, etc. Concretely, if Alice is connected to Jean by a payment channel and John is connected to Carole by another, then Alice can pay Carole through the canal that connects Jean to Carole. There is no need to open a new payment channel. When the lightning network is deployed, a user can pay anyone on the network via three or four channels. For the user, nothing changes. It's exactly the same as for a classic bitcoin transaction. To send money to someone, just scan their QR code, which contains their bitcoin address. The system is based on a transaction scheme where the receiver must prove in a given time that he has received the payment. Without an answer from him, the sum is automatically returned to the sender. The lightning network includes in its code a security in case of conflict or if one of the users no longer responds. It also provides an immediate penalty if one of the users tries to cheat (for example, the payment of a sum he does not have). In this case, all his funds are lost. In addition, the common bitcoin address where the funds are deposited requires the private keys (the equivalent of a signature on a check) from both parties to be unlocked. 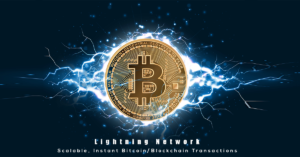 Four organizations are currently working on the implementation of the lightning network: the US start-up Blockstream, the French company Acinq, the Lightning Labs created by the developers behind the lightning network, and MIT. The four project stakeholders hope that the lightning network will be deployed in 2018, without giving a precise date. In early December 2017, they managed to conduct the first transactions on the bitcoin blockchain using the lightning network. On December 28th, the first bitcoin payment via lightning was claimed by developer Alex Bosworth who paid a bill on Bitrefill, a site that reloads his credit for voice communications with bitcoins. No, the lightning network is an overlay of bitcoin, it can not be dissociated. However, Ethereum also has its own project: the raiden network. Other blockchains are planning to implement a similar network including litecoin, ripple, stellar and zcash. Some are also counting on a deployment in 2018. Previous PostPrevious How to implement a blockchain project in 5 steps ?